What is Sickle Cell Disease and Trait? Sickle Cell disease is a group of inherited red blood cell disorders. It is the most common genetic disease in the US. About 100,000 Americans have sickle cell disease. 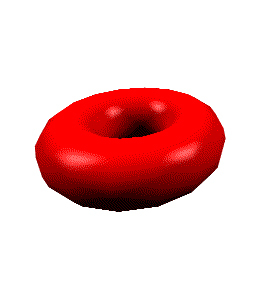 Normal red blood cells are round like doughnuts, and they move through small blood vessels in the body to deliver oxygen. Sickle red blood cells become hard, sticky and shaped like a sickle, a c-shaped knife used to cut wheat. When these hard and pointed red cells go through the small blood vessels, they block blood flow and break apart. This causes pain, organ damage, and a low blood count, or anemia. The substance in the red cell that carries oxygen is called hemoglobin. Sickle cell disease results from a small change in the molecular structure of hemoglobin. When sickle hemoglobin delivers oxygen to tissues in the body, this small change causes the hemoglobin to form long, rigid rods in the red cell. 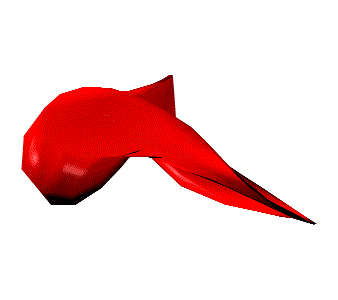 These rods change the red cell into a sickle shape. Sickle cell anemia is a genetic disease, which is inherited at birth. Individuals are born with the sickle cell hemoglobin and it is present for life. No one can catch sickle cell disease from anyone else. For a baby to have sickle cell disease, he/she must inherit one abnormal hemoglobin gene from both parents. Hemoglobin SS, called sickle cell anemia, which is the most common type of the disease. Each of these types can cause sickle pain episodes and complications. All of these may also have an increase in fetal hemoglobin which can protect the red cell from sickling and help prevent complications. The medication hydroxyurea also increases fetal hemoglobin. Sickle cell trait occurs when a person inherits a sickle hemoglobin gene (called S) from one parent and a normal hemoglobin gene (called A) from the other parent. 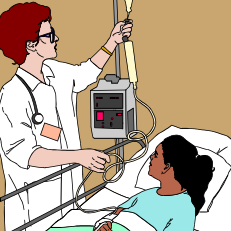 A person with sickle cell trait produces both hemoglobin A and hemoglobin S, so the hemoglobin electrophoresis result is reported as hemoglobin AS. This is NOT sickle cell disease and will NOT turn into sickle cell disease. There are many other hemoglobin variants. 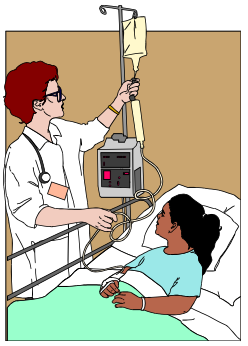 A common variant in the United States is hemoglobin C. Individuals with hemoglobin C trait have a hemoglobin electrophoresis result showing AC. Is sickle cell disease found only in African Americans? Sickle cell affects many people around the world. It is more common in people of African descent, but also affects people from the Middle East, the Mediterranean, Latin American and India. Everyone should be screened for sickle cell at birth. In the US, 1 out of 12 African Americans have sickle cell trait and 1 out of 625 newborns have the disease. A simple blood test called a hemoglobin electrophoresis can be done by your doctor or by the local sickle cell foundation in your community. This test will tell if you are a carrier of the sickle cell trait or if you have the disease. All states now perform a screening test for sickle cell disease and sickle cell trait when babies are born. If the test is positive for sickle cell disease, you will be notified so that your child can begin treatment. A handout is available for printing and distribution.